Bump have welcomed yet another new member to the team – which we are really excited about! 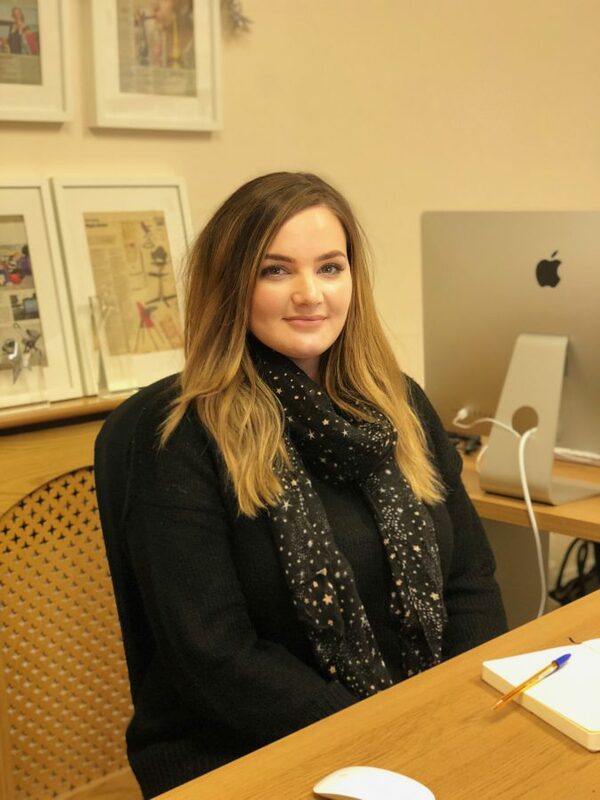 Katie has joined the team as a trainee PR executive and we thought, as with Hetty, you would all like to get to know her a little! Here is a short and sweet Q&A about her first few weeks here at bump! Our lunch is something we all get rather excited about in the office. What was your favourite lunch in your first couple of weeks? My lunches haven’t been terribly exciting, as it is winter, I’ve just had soup most days! I did enjoy having a festive coffee from Costa though! Yummy! I’ve really enjoyed working on the Moba products, I love the new pastel Moses baskets they have just released- so cute! We often like to indulge in a biscuit of two with our tea… what’s your favourite thing to snack on throughout the day? Music is always playing in the bump office! What has been your favourite thing to listen to on the SONOS? Anything from the ‘80s! The Christmas playlists have been a lovely addition to the afternoon as well. Each bump member has a cute animal in their email signature, what is your chosen animal going to be? An otter- they are sociable, chatty and they like making things! Finally, what was the highlight of your first couple of weeks here at Bump? P.S. Katie loves her crafts and even has her own Blog, YouTube channel and Etsy page! If you love to get crafty and want to learn how to make some fun bits and bobs go and check out her channels and Etsy page!